Helping You With Great Herbal Goodness. Prodijiosa, Cascara Sagrada, Blessed Thistle and Rhubarb Root. Prodijiosa: Stimulates pancreas and liver secretions to aid the digestive process. Cascara Sagrada: Restores tone and health of intestines by stimulating peristaltic motion to break up and remove putrid waste in diverticula; stimulates stomach, liver and pancreas secretions. Blessed Thistle: Kills fungus, stimulates the upper digestive tract, increases circulation and oxygen delivery to the brain to support brain function. As well as supporting heart and lungs. addresses digestive issuēs, cleas and strengthens the digestive tract. These herbs are used to restore the health of the digestive tract. They to restore the balance of te whole body. This ombination can increase bowel movements to three to six times a day. 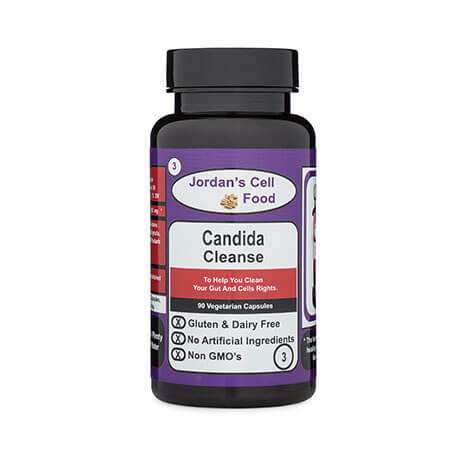 Candida Cleanse can also be used by itself as a general cleanser or with other herbal combinations. The more combinations that you use together, the more you will cleanse the entire body down to the intracellular level. * Jordan's Cell Food Original and Unique formulas are proprietary of Jordan's Cell Food and may contain ingredients not listed here. © 2019 Jordan's Cell Food. All Rights Reserved.